Several of the "MS diets" that you may come across, such as the Paleo and ketogenic diets, are actually ones that have been popularized for management of other conditions. Their impact on multiple sclerosis (MS) is mainly based on theories or on a few people's experiences. 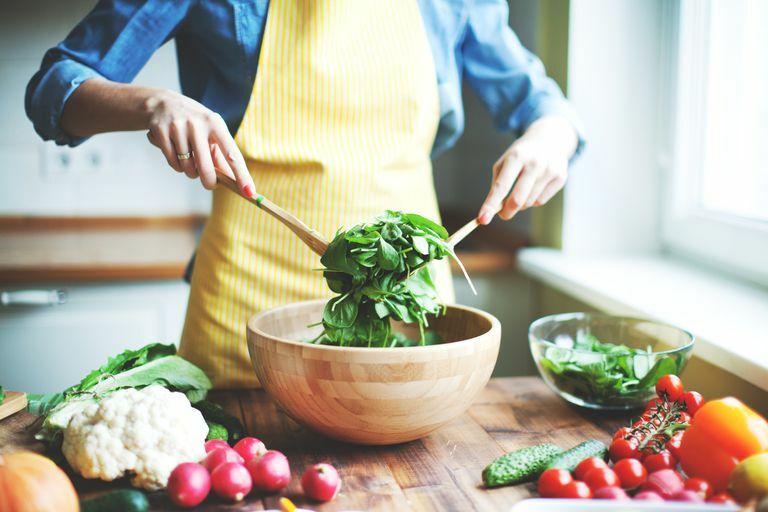 The interaction between nutrition and MS appears complex, and researchers are focusing on objectively assessing the impact of diet on the disease. Studies, however, are small and evidence is still emerging. The scientific evidence to back up any diet at this time is scant, and of the information available, the results are mixed and sometimes challenging to interpret. For example, vitamin D deficiency and vitamin B12 deficiency may be associated with MS, but it isn't clear whether this has any practical implications in disease management. Recommended components (for example, cod liver oil in the Swank Diet) may result in accidentally taking in toxic amounts, which can also be harmful. It's possible that some inflammatory foods may exacerbate MS symptoms. If you would like to try making dietary changes in an attempt to better manage your MS symptoms, be sure to discuss what you're considering with your doctor. The following diets are ones that are popular in the MS community. This diet has been promoted for overall health and weight loss for years. It gained popularity as a way to manage MS symptoms when Terry Wahls, MD, a physician who has secondary progressive multiple sclerosis, began studying its benefits. Dr. Wahls, who was wheelchair-dependent due to her MS, credits a modified Paleolithic diet (along with physical therapy and neuromuscular electrical stimulation) with regaining her ability to walk again. There are many variations of the Paleo diet—all are protein heavy (especially animal sources) and do not include processed foods. The Wahls Elimination (WahlsElim) Diet is a modified Paleo diet that consists mainly of vegetables, fruit, omega-3 oils, animal protein, and plant protein (for example, legumes and nuts). The diet calls for the elimination of gluten, dairy, and eggs. Several small studies have shown a positive impact of the diet on MS symptoms, including a reduction of fatigue. The effects of the Paleo diet and the Wahls Elimination (WahlsElim) Diet are still being investigated as experts attempt to validate whether there is reliable objective evidence that they could play a role in the management of MS. The Swank Diet was discovered by Roy Swan, MD, in the mid-1950s. He reported his results 20 years later, after following his own patients on the diet. Results revealed that people who adhered to this diet were less likely to experience disability progression and death from MS-related causes. The Swank Diet is low in fat, allowing no more than 15 grams of saturated fat and no more than 20 to 50 grams of unsaturated fat and oils per day. The diet allows up to 3 ounces of red meat weekly, and only dairy products that contain 1 percent or less of butterfat are permitted—so, no butter or imitation dairy products like margarine. Processed foods are not permitted. There have been limited follow up studies assessing the Swank Diet, and these follow-up studies suggest either a small positive effect on MS symptoms or no effect at all. The Mediterranean diet has been found to be beneficial for people with heart disease and type 2 diabetes, and it may help prevent cancer. This diet promotes a low consumption of saturated fats (for example, red meat, butter, and dairy products) and a high consumption of whole grains, vegetables, fruits, legumes (for example, beans, peas, lentils, peanuts), olive oil, and fish. Experts have not specifically found the Mediterranean diet helpful in MS, but in a review of MS diets, the authors recommended this diet because it is among the most nutritionally complete dietary regimens and it is associated with diminished inflammation. The ketogenic diet is a strict diet based on eliminating carbohydrate intake. It has been used as a treatment for refractory epilepsy (epilepsy that does not improve with medications). Because it is so difficult to adhere to, it is more practical for children who depend on their parents to serve them food and who cannot otherwise get snacks for themselves. The premise behind a ketogenic diet is that the body enters a metabolic state called ketosis, as it must use fat for energy, due to the lack of dietary carbohydrate intake. Other diets with low carbohydrate intake may promote weight loss, but a very strict no-carbohydrate rule is required to achieve ketosis. Researchers have examined a potential role for the ketogenic diet on primary or secondary progressive MS, but there is no evidence that the diet can help symptoms or effects of MS. Because it is a high-fat diet, the ketogenic diet and modified versions are associated with an increased risk of cardiovascular disease. The fasting mimicking diet (FMD) promotes intermittent fasting. There are many theories and explanations proposed regarding how this diet may work, including the idea that it could reduce the intake of the proteins that the body uses to create inflammatory cells. Intermittent fasting is becoming popular, but it is not necessarily healthy, and it can result in lightheadedness, headaches, and dehydration. A small study found that periodic three-day cycles (three days of fasting every seven days for three cycles) of a fasting mimicking diet were effective in relieving symptoms in an animal model of multiple sclerosis (called the experimental autoimmune encephalomyelitis, or EAE model). In fact, in 20 percent of the animals, there was a complete reversal of symptoms. Research is underway regarding the role of fasting in humans with MS, and whether this diet can reverse or diminish some symptoms of MS. There have been efforts to identify a dietary link with MS, but at this time, there is no firm evidence that any particular diet affects MS. Nevertheless, doctors recommend that if you have MS, you should avoid processed foods; manage your fat, cholesterol, and sugar intake; and try to maintain a healthy weight. If you tend to feel better or worse after consuming certain foods, it may also be wise to make related dietary adjustments with your doctor's OK. Listen to your body. Choi IY, Piccio L, Childress P, Bollman B, Ghosh A, Brandhorst S, et al. A Diet Mimicking Fasting Promotes Regeneration and Reduces Autoimmunity and MultipleSclerosis Symptoms. Cell Rep. 2016 Jun 7;15(10):2136-2146. doi: 10.1016/j.celrep.2016.05.009. Epub 2016 May 26. Irish AK, Erickson CM, Wahls TL, Snetselaar LG, Darling WG. Randomized control trial evaluation of a modified Paleolithic dietary intervention in the treatment of relapsing-remitting multiple sclerosis: a pilot study. Degener Neurol Neuromuscul Dis. 2017 Jan 4;7:1-18. doi: 10.2147/DNND.S116949. eCollection 2017. Katz Sand I.The Role of Diet in Multiple Sclerosis: Mechanistic Connections and Current Evidence. Curr Nutr Rep. 2018 Sep;7(3):150-160. doi: 10.1007/s13668-018-0236-z. Wahls TL, Chenard CA, Snetselaar LG.Review of Two Popular Eating Plans within the Multiple Sclerosis Community: Low Saturated Fat and Modified Paleolithic. Nutrients. 2019 Feb 7;11(2). pii: E352. doi: 10.3390/nu11020352. Does Humidity Make Multiple Sclerosis Symptoms Worse?